The Mangshi-Mandalay direct air route has served 3,323 passengers since its opening on January 31, according to statistics released on February 28. “Besides Dehong tourists, those from Dali, Baoshan and other neighboring prefectures can also apply for visas in Mangshi now and travel to Myanmar with ease,” said a staff with the Bureau of Commerce in Dehong Dai and Jingpo Autonomous Prefecture. On January 12, Myanmar visa service centers in the Chinese border towns of Mangshi and Ruili were inaugurated by the Consulate General of Myanmar in Kunming. In the first month, 27 flights were operated along the Mangshi-Mandalay route, carrying 1,530 international tourists to China and 1,793 to Myanmar. Cross-border trips are gaining popularity among residents in the border areas. “Since the opening of the direct route, local travel agencies have rolled out quite a few 8-day tour packages from China to Mandalay, Bagan and Yangon in Myanmar," said Zhou Yiyun, full-time deputy director of the Dehong Tourism Development Committee. 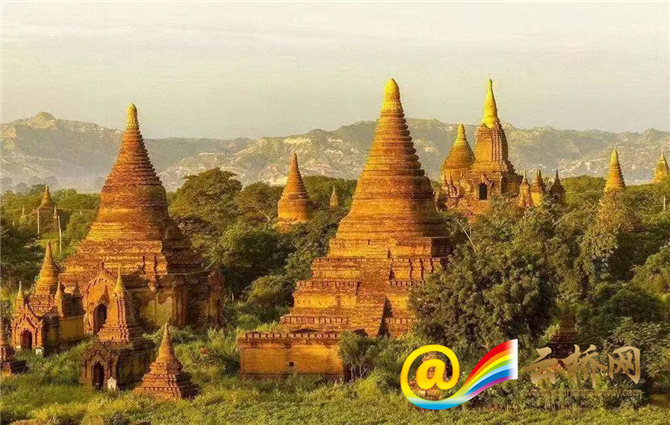 Traditionally, one-day tours are preferred by those in the China-Myanmar border area. Having passed the national acceptance check, Mangshi Airport became Yunnan’s fourth international air service on November 15, 2018, following the airports in Kunming, Xishuangbanna and Lijiang.